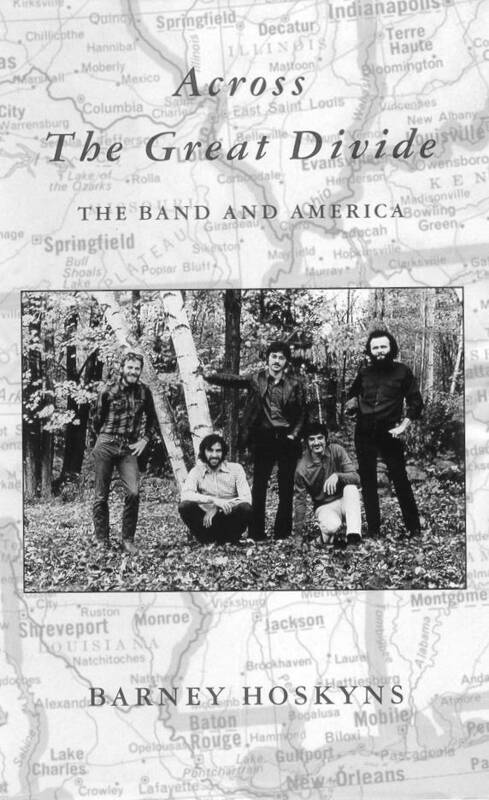 British journalist Barney Hoskyns' book, published in the UK in February 1993, was the first proper The Band biography -- Levon Helm's This Wheel's on Fire followed later the same year. 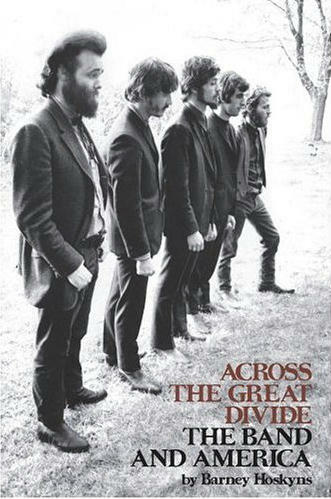 Across the Great Divide was reissued in a revised/expanded version by Pimlico in the UK in July 2003. The update consists of Hoskyns' 1998 Levon Helm interview from Rolling Stone and his rather disrespectful Rick Danko obituary from MOJO magazine, 2000. The three '90s Band albums are mentioned in the interview, but that's it. The book's discography has not been updated and there are no references to The Band web site. Another reissue came in 2006, adding a postscript, Hoskyns' awful obituary of Rick Danko and a 'brand-new' interview with Robertson. Barney Hoskyns was born in 1959 and began writing for the New Musical Express after leaving Oxford. His other books include Say it One Time for the Brokenhearted: The Countryside of Southern Soul and Prince: Imp of the Perverse. He wrote liner notes for the 2000 re-issues of The Band albums Music from Big Pink, The Band, Stage Fright and Cahoots, but Capitol Records (i.e. Robbie Robertson) decided not to use them. Implicit within the redemptive qualities commonly ascribed to rock'n'roll is the metaphor of the band/musician as leaders in a spiritual search. The hyperbole that typically ensues from such metaphors is entirely appropriate in reference to The Band, the seminal folk/country/rock group whose recordings, made from 1968 to 1978, psychically imprinted an entire generation. That a predominantly Canadian group should have been so transfixed by, and subsequently successful at, articulating deeply rooted American themes is just one of the seeming paradoxes that Hoskyns explores in this first major study. 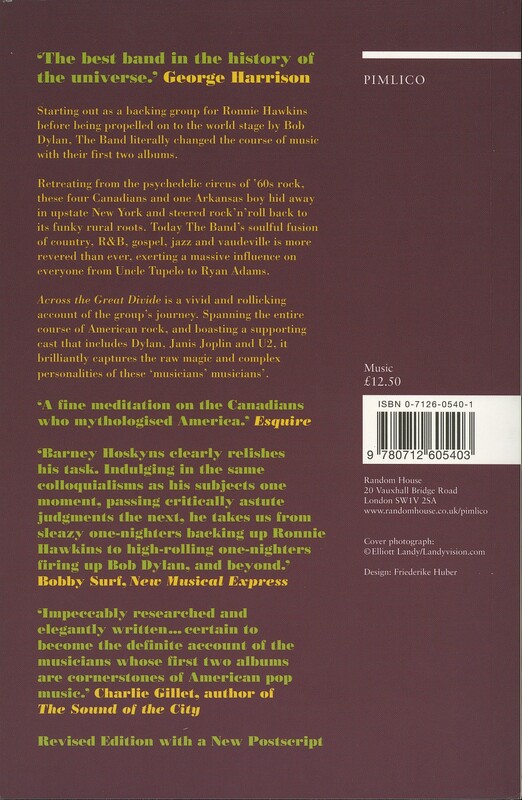 Borrowing heavily from both previously documented and self-conducted interviews, Hoskyns connects the dots that link The Band with Ronnie Hawkins, Bob Dylan, Woodstock, and the concert film The Last Waltz (1978). Cumulatively, the effect of this treatment is ponderous; Greil Marcus's classic essay "The Band: Pilgrims' Progress" in Mystery Train, from which Hoskyns liberally borrows, is more revelatory. Still, this solid treatment of an influential group belongs in most popular music collections. British journalist Hoskyns (Vogue, Spin, etc.) wends his way through 60's mythology and the mystique of the remarkable rock group known as ``The Band'' to deliver a nicely readable, straightforward bit of pop-music history. The compelling irony of The Band's career, Hoskyns shows, is that they achieved their greatest celebrity by breaking up: Martin Scorsese's film of their final concert, The Last Waltz (1978), ``transcended the limitations of the genre and...caught both the sweep of the band's history and the edgy reality of live performance.'' 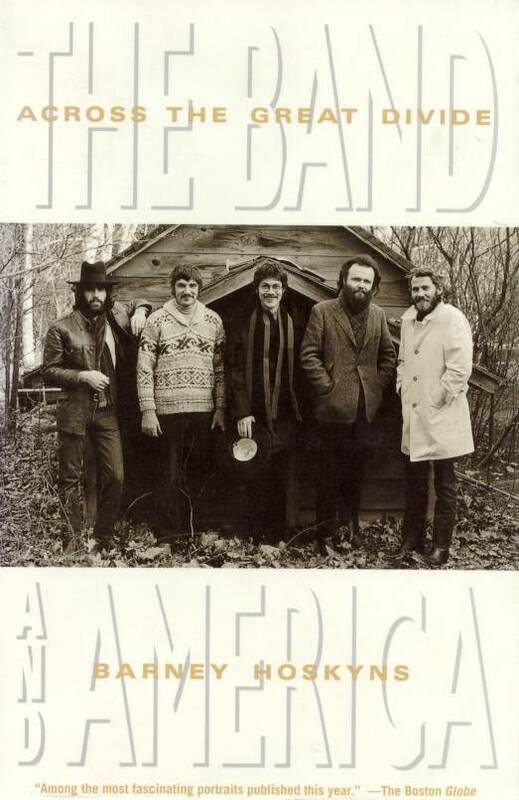 The four Canadian members of The Band (Robbie Robertson, Rick Danko, Richard Manuel, and Garth Hudson) and their Arkansan drummer, Levon Helm, had backed singer Ronnie Hawkins as the ``Hawks'' since the late 1950's, when most of them were still in their teens. Their striking out from the domineering and limited Hawkins--plus guitarist Robertson's strong desire to be part of ``something more vital...than a travelling alcoholic freakshow''- -led these talented musicians (each played a variety of instruments, and most sang) to a historic hookup with Bob Dylan and to his switch from acoustic folk to electrified rock. The first year with Dylan was a frenetic mix of world travel, often hostile audiences, drugs, and mayhem in the midst of an explosion of creativity that ``was pop...rock 'n' roll...and R&B...fused with an avant-garde, anti-mainstream sensibility.'' The release, in 1968, of The Band's Music from Big Pink album offered down-home, gut- bucket country blues--a notable departure from the hard-and-acid rock of the day. As Hoskyns says, the group's very name was ``born of a beguiling mixture of humility and arrogance. They were just `the band' but they were THE band.'' Though relying heavily on others' material, a well-written, enjoyable account of a 60's legend. The new edition of Hoskyns turns out to be a complete waste of money. As far as I can see the text, discographies and references have not been revised, all that's been done is tack on the 1998 Levon interview and the 1999 Rick Danko obituary (rather sour it was, too). Even that ongoing sore, the miscredited Port Dover photo of The Hawks by Serge (Daniloff) remains credited to "Courtesy Larry van Acker" as in the original edition. If it was an honest error, then now was the time to correct it. How you can put "Revised 2003" on a book that fails to mention the remasters, or the new The Last Waltz remaster beats me. I read the prologue and postcripts and will check the text later, but it looks like a rip off for those who have the first edition. Check before purchase! It doesn't even reference Jan's site in "sources" which is shameful, not because I'm suggesting that he used it without credit, but shameful because he appears to have put out a new edition without bothering to check theband.hiof.no which is mind-boggling. 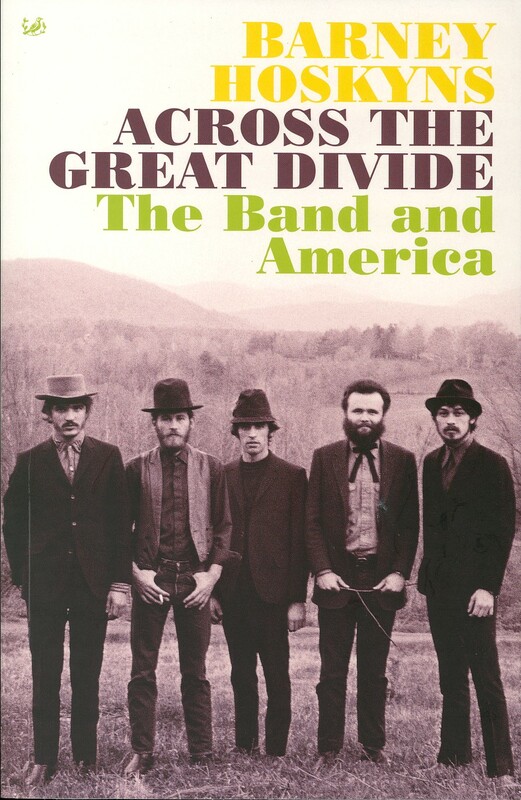 Barney Hoskyns - Across the Great Divide - 439 pages - UK, February 1993, Viking/Penguin, ISBN 0-670-841447. Published in the US by Hyperion 1993, ISBN 0-7868-8027-9. 2nd edition published in the UK by Vintage/Ebury (A Division of Random House Group) on Pimlico, July 2003, 449 pages, ISBN 0-7126-0540-1.